Every Filipino is a rice person. Not nice ha, but rice. Then again, sige na nga, you could say nice...generally. :) For a lot of countries in Asia, it has become the foundation of our cultures and the foundation of our very lives. Thousands of years ago our ancestors were eating rice already, and up to now, these grains has been the source of our sustenance. Admit it, you won't feel fully satisfied if you ate your lunch or dinner without kanin. Somehow you get that feeling parang busog na hindi. Nothing beats ulam and rice. I pity those who try to adapt the American and European culture by not eating rice for whatever reason. They're giving up something that is a part of being a Filipino. I don't think I can ever give up eating rice. Imagine eating bread or mashed potatoes everyday. Somehow, it looks surreal. 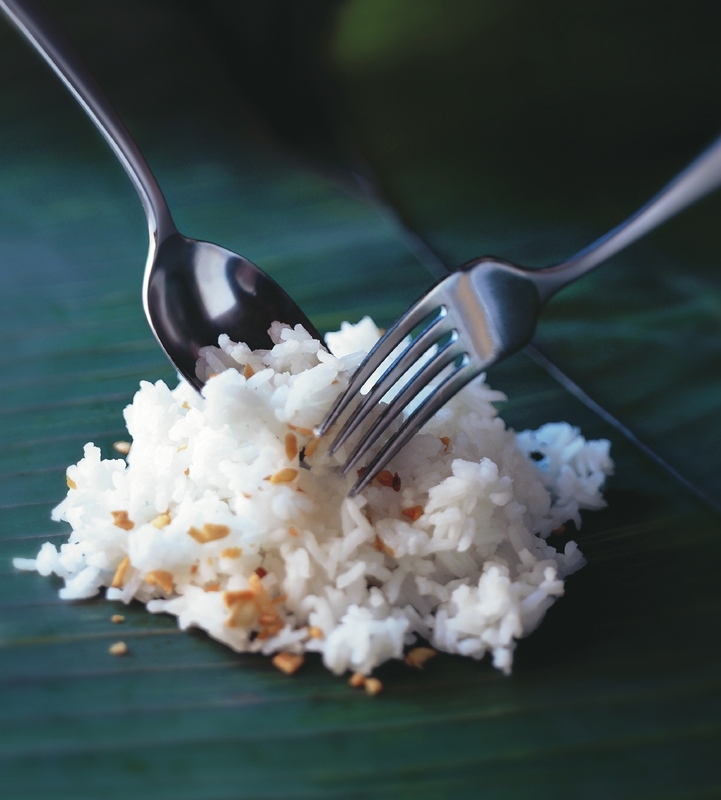 The favorite adobo isn't a treat without rice. The sinigang will leave you bitin if there is no rice. Tuyo, daing and dilis with vinegar is unacceptable without sinangag or just plain rice. A satisfying meal will never be complete if you haven't had an extra rice. With all that I've said, I'm getting hungry. Rice is embedded in our very lives. Our babies in the past, because of poverty, drink am or the water just before rice cooks completely. 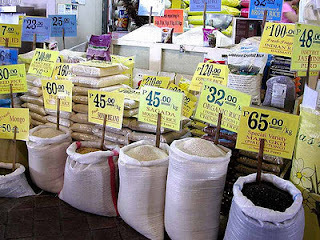 Our labor force gets their energy from rice meals. We eat merienda made of rice or rice flour, and the country's lands are being tilled to plant these grains. There may not have been a Banaue Rice Terraces if we're not planting it. If things were different, rice cookers may not have become the most popular wedding gift in the Philippines. But we are Pinoy, we eat rice. And we most likely will get an extra rice.